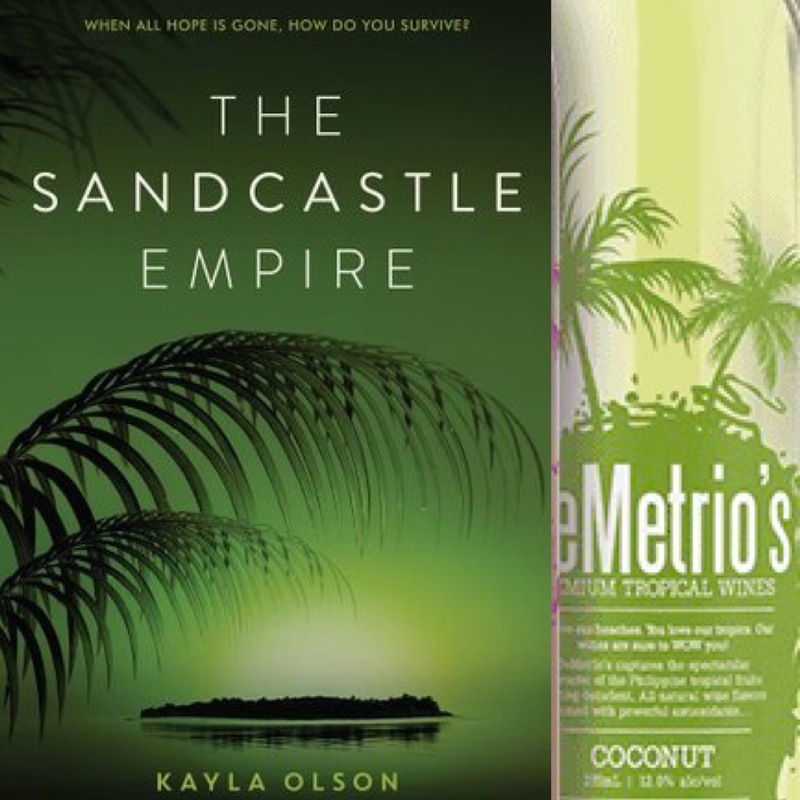 Kayla Olson’s debut novel The Sandcastle Empire is fast paced with impossibly high stakes and a cast just brimming with characters who can’t be trusted. It is simply not to be missed! I paired The Sandcastle Empire with this Demetrio’s Coconut Wine. Not only does the label perfectly match the cover, but the tropical flavor of the wine definitely lends itself well to the desert island setting. The combination of Kayla Olson’s gorgeous writing, her mesmerizing world building, and gripping story line have culminated in a book that is absolutely addictive. I’ve had high expectations for this book ever since I heard about it, and it not only lived up to them, it absolutely demolished them! Kayla incorporates the most beautiful prose throughout this book, and she blends it so seamlessly into the story that you might miss it if you aren’t paying attention. In my opinion, that is the mark of truly talented writer. As a reader you typically see such lovely writing coupled with a slower plot, but that is certainly not the case here. Kayla has truly mastered the art of putting beautiful words on the page in a way that does not in any way detract from a fast-paced, thrilling plot line. And this is her debut novel! There is an absolutely brilliant cast of characters in The Sandcastle Empire. They all feel so authentic, like they are all people that you know and can identify from your own life. Main character Eden is such a likable character, who repeatedly demonstrates strength of body, mind, and spirit throughout the story. You’ll be cheering from her from the very first page. Perhaps the coolest thing about this cast though, is that you never know who you can trust and when you can trust them. They keep you on your toes and utterly glued to the pages. The world building in this book is absolutely phenomenal. Set in a futuristic world, where the society that we know has crumbled upon itself, the political and social climate is fascinating. There is some incredible tech incorporated throughout the story, despite the fact that most of it takes place on a desert island. The plot of the book is intense and action packed. This story starts with a bang, quite literally, and it just doesn’t quit. I can absolutely understand why this was optioned for a movie so quickly and can see the potential for it to translate to the big screen just so well. In case you haven’t heard, Leonardo DiCaprio has already signed on to produce this one. I am not at all surprised after reading it. For more movie details, click here! There is also a romance in this book that I was SOOO into. I won’t give away any specifics, because spoilers. But I will say that those of you that like a little swoon in your summer reading will not be disappointed. We have seen some truly incredibly debut novels in 2017, but this one may just be the best so far. Kayla Olson is without doubt an author to watch! If you saw any of my Tweets while I was reading this book, then I apologize for the image repetition, but here are some of my favorite images that I pinned while reading this book! Follow YA and Wine on Pinterest! 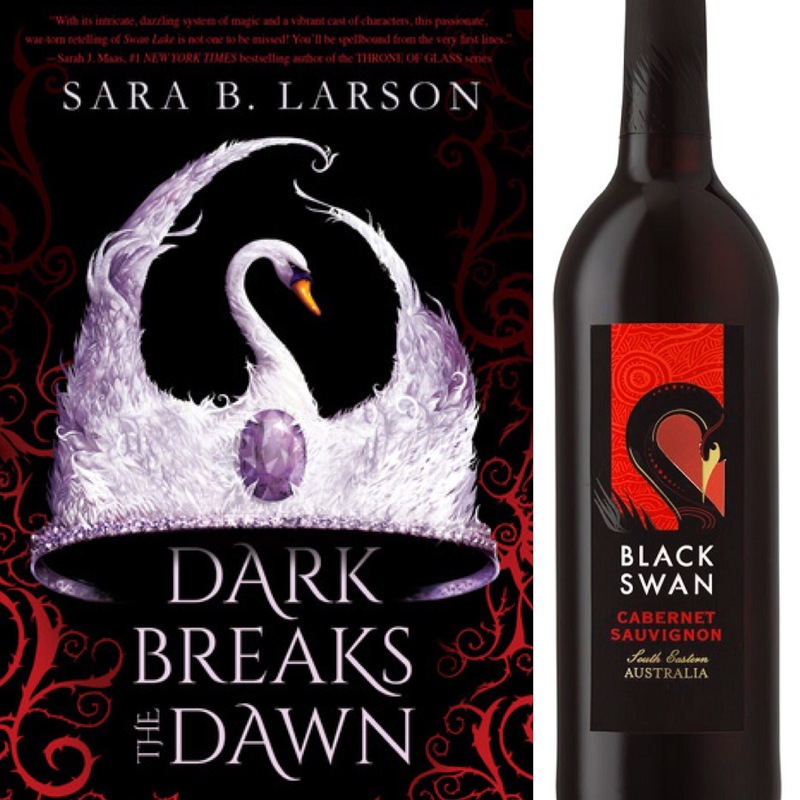 Follow YA and Wine on Bookstagram! YA writer represented by Holly Root and Taylor Haggerty of Root Literary. Author of the forthcoming THE SANDCASTLE EMPIRE (HarperTeen // June 6, 2017—now available for pre-order! ), recently optioned for film by Paramount, with Leonardo DiCaprio/Appian Way producing. Usually found in near proximity to coffee, chocolate, Scrivener, and an army of Sharpie highlighters. Will you be reading The Sandcastle Empire when it hits bookshelves TOMORROW? Because you should. You really, REALLY should! BE TRUE TO ME Author Q&A and Giveaway! This sounds like one I need to add to my tbr; great review dear! Thank you! It really is just phenomenal. I can’t recommend it highly enough! Your reviews are always so fun to read! I am definitely going to check this one out! Woohoo!!! I hope you like it as much as I do, but I’m confident you will. It’s such a great book! Enjoy!!! Oh, I’m so happy to hear that! Enjoy it!!! It is INCREDIBLE and definitely a book that will appeal to any audience, not just YA. Cannot recommend highly enough! Great review and I love those photos and cover! It definitely sounds like an excellent summer read. Um, sign me up. A romance you were so into? That epic mood board? That coconut wine? SIGN ME UP NOW. TOTALLY GOING ON THE TBR AS SOON AS I CAN CLICK. Wonderful job, Krysti!! Mandy, it’s SO GOOD. I cannot wait for you to read it! I’m suddenly seeing this book everywhere!! I’m going to have to check it out! It’s so, so, so good. And I CANNOT wait for that movie. I think I need to get the audio version and experience it that way too. I think it would be really cool on audio and on the big screen.